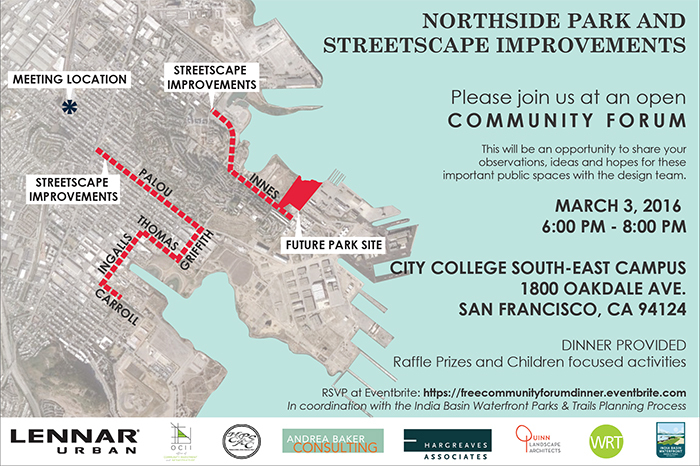 Join Lennar Urban for a Free Community Forum Dinner to share your thoughts on the design of a new waterfront park in the Bayview located near the Shipyard. Dinner will be provided and there will be a raffle; they will also provide child-focused activities. Lennar will also be reaching out with information regarding future community forums for specific projects in April, May and June 2016. You can find information on future events on their Facebook and Twitter pages.